(Banjul) Young Gambians can thrive – not only survive – at home, and the government is working with business, youth and development partners to make this a reality. The Tekki Fii programme launched over the weekend at Independence Stadium in Bakau to help young people see the benefits of choosing to ‘make it here’ rather than seek opportunities in Europe through irregular migration. ‘Tekki Fii’ – which means ‘Make It Here’ in Wolof – is a movement by Gambians, for Gambians, to equip youth with job-ready skills and entrepreneurship opportunities in a variety of sectors, ranging from the arts and agribusiness to tech and tourism and more. The goal is to empower young people to earn higher, stable incomes and create quality jobs for others. The launch coincided with the 13th edition of the Trade Fair Gambia International, taking on the theme of regional business networking and youth empowerment through skills training. 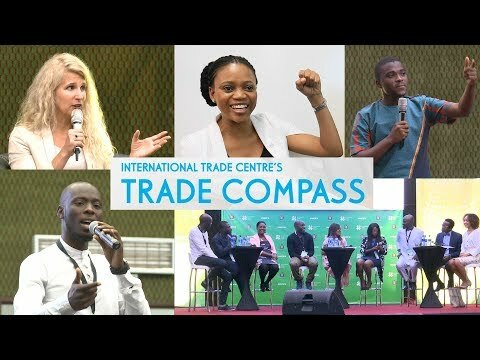 Four hundred entrepreneurs – including 45 supported through the International Trade Centre’s Youth Empowerment Project – showcased their products and services in a variety of sectors, including food, agribusiness, beauty and wellness, fashion and crafts. The launch of this three-year Tekki Fii programme, funded by the European Union, follows a weeklong roadshow that visited all five regions of the country. The roadshow stopped to host intergenerational talks, skills orientation sessions on entrepreneurship, solar installation, construction, creative industries, agribusiness and more. To show young people all over the country – including in rural areas – that it’s worth making a living in The Gambia, the focus was on equipping them with the technical and soft skills needed to obtain quality jobs or to start their own businesses. Skills building is a priority of this programme. About the Tekki Fii programme – the ‘Make it in The Gambia – Tekki Fii’ programme is an initiative of the Government of The Gambia supported by the European Union that will significantly scale quality job opportunities available to young Gambians, focusing on the most vulnerable ones. The programme is designed to equip youth with job-ready skills and entrepreneurship opportunities in a variety of sectors, ranging from the arts to agriculture to tech and tourism. The three-year initiative aims to lead to long-term, brighter future prospects for young Gambians in the country. The project is led by the Government of Gambia through the Ministry of Finance and Economic Affairs, working with business and development partners. It is funded by the European Union Trust Fund for Africa (EUTF) and implemented by the International Trade Centre (ITC), German Agency for International Cooperation (GIZ), Instituto Marquês de Valle Flôr (IMVF) and the Belgian Development Agency, Enabel. The project builds on existing European Union-funded initiatives such as ITC’s Youth Empowerment Project (YEP) and the European Union-International Organization for Migration (IOM) Joint Initiative for Migrant Protection and Reintegration. About the European Union Emergency Trust Fund for Africa – The European Union Emergency Trust Fund for Africa (EUTF) supports all aspects of stability and contributes to addressing destabilization, forced displacement and irregular migration in particular by promoting resilience, economic and equal opportunities, security and development, and the improvement and implementation of planned and well-managed migration policies. The EUTF aims at improving living conditions in Africa. It seeks to help people live in a peaceful and stable environment, and to work in dignity. For more information, visit https://ec.europa.eu/trustfundforafrica/.